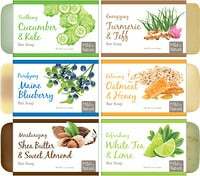 Supports brain development in babies during pregnancy and lactation. Research shows that healthy DHA levels in mother during pregnancy and lactation support optimal brains and visual development in babies. 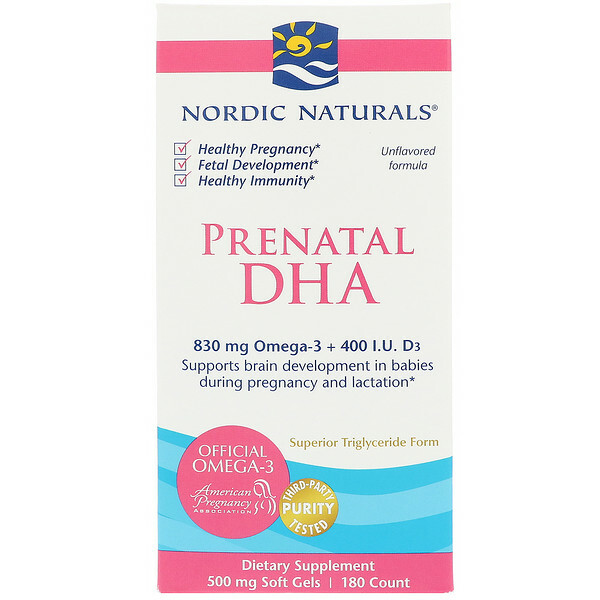 Prenatal DHA provides mood support for mothers before, during, and after pregnancy in small, easy-to-swallow soft gels. 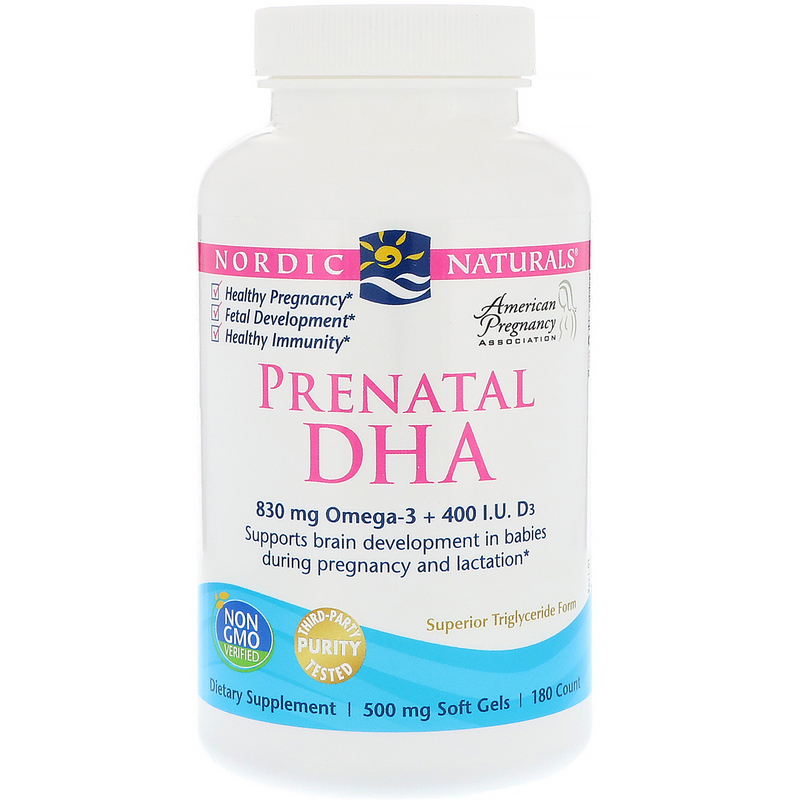 The DHA requirement of a developing baby increases dramatically as pregnancy progresses and brain growth accelerates. This fatty acid is concentrated in the brain and retina where it is a critical component of cell membranes. Maternal diet and lifestyle influence the amount of omega-3s that are available to the growing baby. 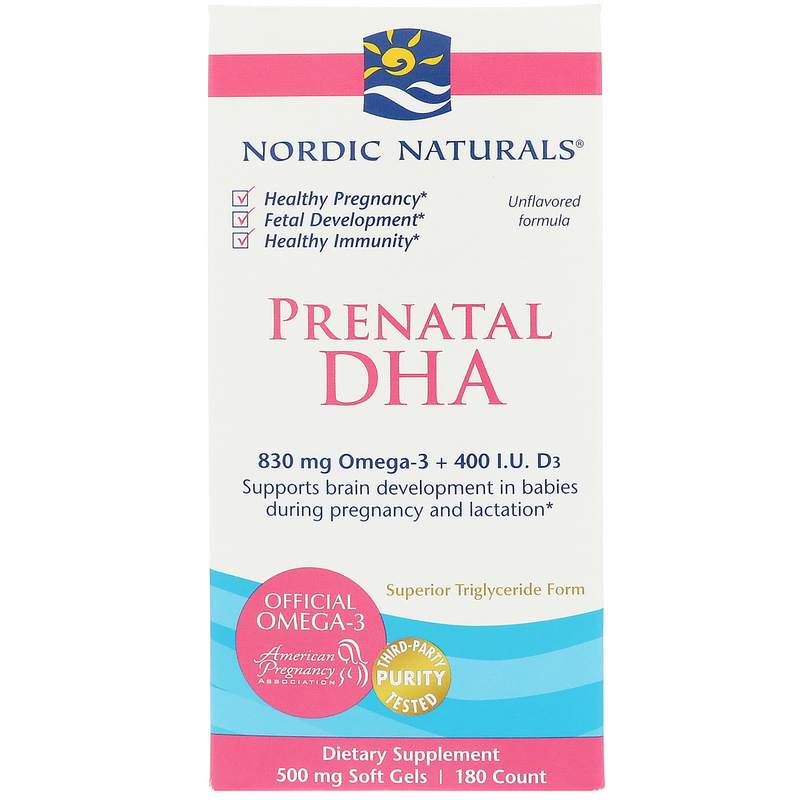 As the official omega-3 of the American Pregnancy Association, Nordic Naturals Prenatal DHA is an exceptionally pure and trusted source of DHA and vitamin D3. Heavy metals, such as mercury, are not the only environmental contaminants found in fish. PCBs are a class of man-made organic chemicals that pose risks to human health and the environment. Despite strong restrictions, PCBs persist in the environment and are found in trace amounts across our food supply. By selectively choosing small fish naturally low in toxins, and carefully removing contaminants, Nordic Naturals delivers omega-3 oils with guaranteed purity. 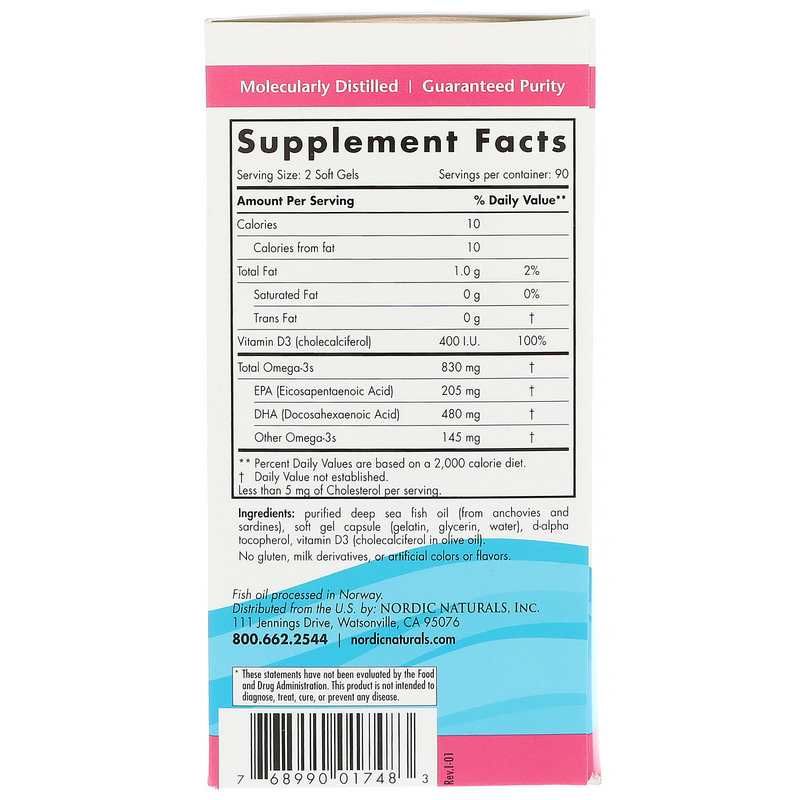 Purified deep sea fish oil (from anchovies and sardines), soft gel capsule (gelatin, glycerin, water), d-alpha tocopherol, vitamin D3 (cholecalciferol in olive oil).